Celebrities are notorious for parading snazzy handbags made from exotic animal skins. Some get shamed, others are admired for it. The price of this commodity, in reality, goes beyond the price tag, but the future of such goods doesn’t need to be so hefty. One of the most desired leathers at the moment is python. Pythons have extremely durable skins adapted through evolution for survival. Why we humans need python skin is, well, a luxury thing, a status indicator, not a necessity. Nevertheless, the demand for python skin accessories like handbags and shoes is on the rise. Import prices have grown from 350,000 skins valued at €100 million in 2005 to $1 billion today. 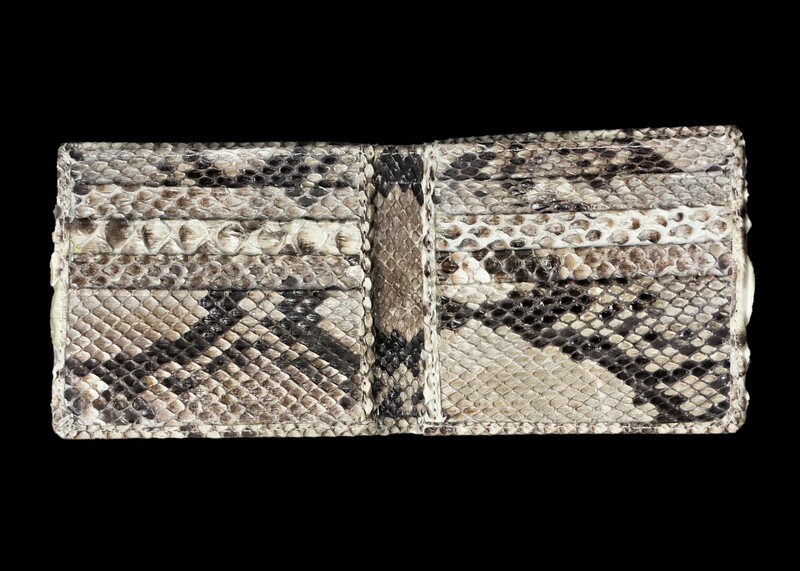 Increasing demand for python leather has taken a toll on this species; about half a million pythons get skinned every year. In Southeast Asian countries, pythons suffer from being kept in captivity and experiencing very short lives. Those working in the tanning industry, a process in which skins and hides of animals are treated to produce leather, are exposed to dangerous working conditions and chemicals. Leather tanners have higher rates of cancer, gastrointestinal diseases, and other life-threatening health issues due to long-term exposure to tanning chemicals. In Southeast Asian countries where tanning takes place, the technology to recycle waste from tanning is very poor. As a result, nearby waterways are polluted with chemicals and acids, affecting communities at large. Even though the python industry is booming, it is not very profitable for people working in the lower end of the supply chains. While a villager in Indonesia sells one python skin for $30, a fashion boutique will be selling the python-skin product for a much higher price. For example, Fendi’s Multicolored Python Patchwork Collarless Jacket was priced at $11,500. Kering, the company behind major luxury brands like Gucci, Alexander McQueen, and Yves Saint Laurent, has built its own python farm as a result of the incredible demand for their skins. 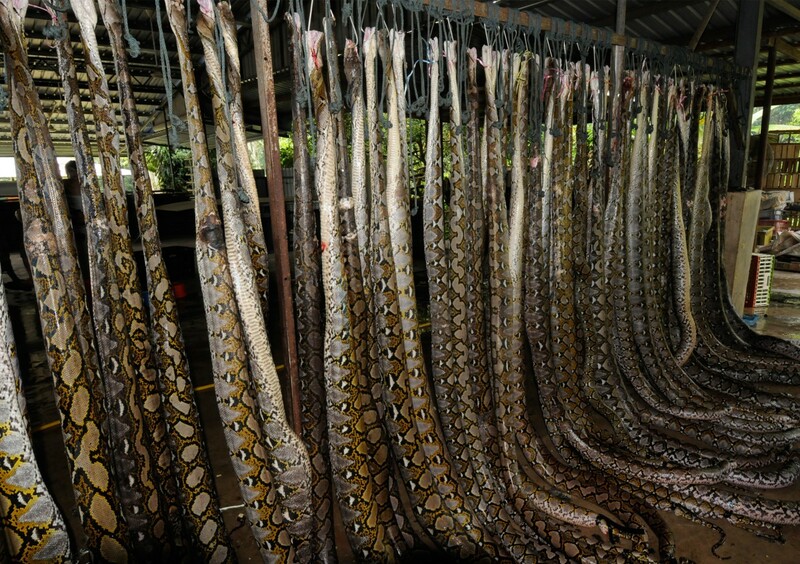 The chief sustainability officer for Kering, Marie-Claire Daveu, said: “This is a long-term commitment to developing sustainable and responsible sourcing of Kering’s python skins.” While pythons in the Kering farm may have a better quality of life than those kept in captivity in Southeast Asia, in this day and age there is an even more “sustainable” and “responsible” way to source leather skins — growing them in a lab! One initiative successfully growing leather from cells is called Modern Meadow. They use living cells to grow leather materials via a process entirely free of animal slaughter. 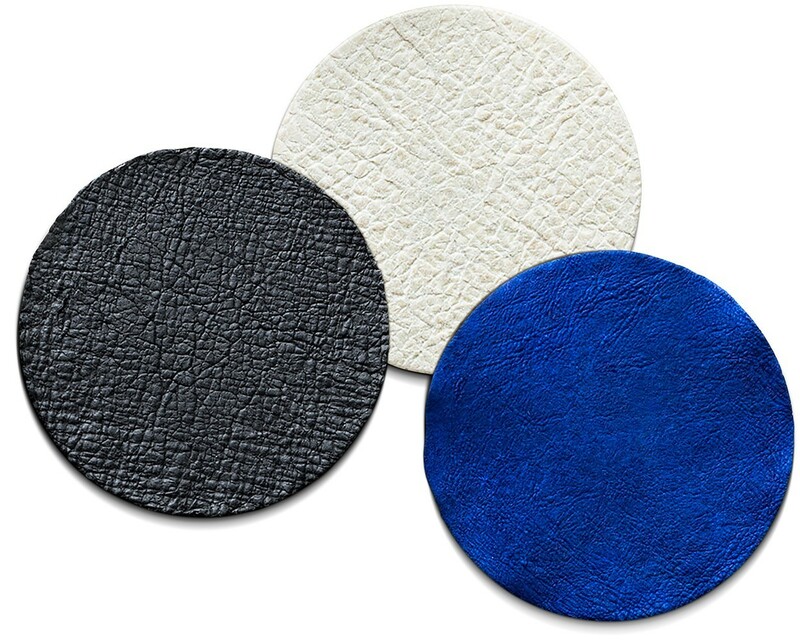 Their technology grows collagen, a protein found in animal skin from which bioleather material can be created. The most intriguing part of the technology is that virtually any skin could be grown, even of exotic extinct animals. While this may seem futuristic, it’s already a reality. Paul Shapiro in his book Clean Meat argues that popularity in lab-grown leather can make lab-grown meat more palatable, solving two incredibly environmentally-exhausting issues; demand for meat and leather, at once. For some people the ick-factor of lab-grown meat is hard to overcome. Lab-grown leather, on the other hand, is not instinctively gross. Who actually loves leather because they feel they are wearing or carrying real animal skin? People like it for quality and the feel of it and if it can be made exactly the same minus animal cruelty, why not make the switch?